Reaching for MORE with Moringa-O2! I've talked about Moringa-O2 products a couple of times on my blog (you may feel free to click HERE). After using such products a couple of times, it was a first for me to finally attend their event and it was a good time to do so because they are endorsing a "new family" for their skincare line. If like me, you have your television on almost the whole day (hello yaya who's addicted to TV!) you'll definitely chance upon a beauty called Beauty Gonzales-Crisologo. Follwing the success of her primetime teleserye "Kadenang Ginto", she is actually ready to #reachforMORe as she welcomes a new endorsement with Morgina-O2, and what's better is the fact that her whole family is endorsing this brand! Welcome to the Moringa-O2 family Norman, Beauty and Olivia Crisologo! A herbal hair and skin care brand, they chose to endorse this brand together (for the first time). They mentioned it was an easy decision to allow Baby Olivia to endorse such brand because for the fact that the family loves Moringa-O2 - a gentle and safe solution for skin. According to the Crisologo's, shifting to herbal products is something that they'd love to advocate for. Especially now that they are very close to nature. They want more families to use products that are not only good for health but also for the environment. I had a chance to chat with Beauty about her newest endorsement, her teleserye and her upcoming movie! She is keeping it mum for now but what she's excited about is a 3-months break she will have after shooting her teleserye and will be spending time traveling with her husband and daughter. Yes, just the 3 of them without yaya! I also love the fact that she's very open and opinionated. We shared a lot of kwentos on motherhood and I love how pretty and down-to-earth she is and how she giddily shared how supportive her husband is of her endeavors - making this an easy decision for him to join the endorsement. I also had the chance to bond with fellow Blogging friends during the launch. Thanks NJ for inviting us! 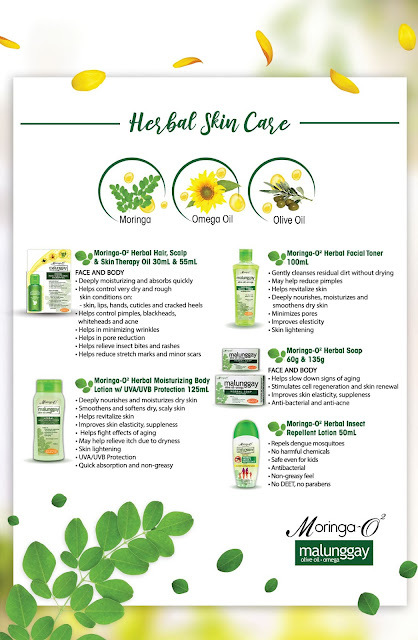 What's your favorite Moringa-O2 product?